Samir Ibrahim is the CEO and a Co-Founder of SunCulture, headquartered in Kenya. SunCulture makes smallholder farming households more productive in an affordable and environmentally friendly way by selling them affordable solar-powered water pumps and customized irrigation systems, bundled with ongoing support and financing. SunCulture was the first company to commercialize solar-powered irrigation in Africa and is the only in Africa that provides a turnkey solar irrigation solution to farmers; in addition to industry-leading solar-powered irrigation systems and financing, SunCulture-trained technicians and agronomists provide on-farm training, soil analysis and agronomy support by mobile phone, and next-day delivery and installation anywhere in Kenya is included in the price of the system. SunCulture farmers have average annual revenues of $10,000/acre, compared to just under $1,000/acre they receive growing maize using rain-fed agriculture. SunCulture has recently been recognized as a Bloomberg New Energy Pioneer and named in London Stock Exchange’s inaugural ‘Companies to Inspire Africa’ report. 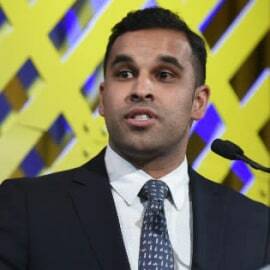 Prior to SunCulture, Samir studied finance and international business at NYU’s Undergraduate Stern School of Business and joined PwC's Financial Services, Structured Products, and Real Estate Group. Samir is also recognized as a World Energy Council Future Energy Leader alum and a Forbes 30 Under 30.